Quilters create the most beautiful garbage. 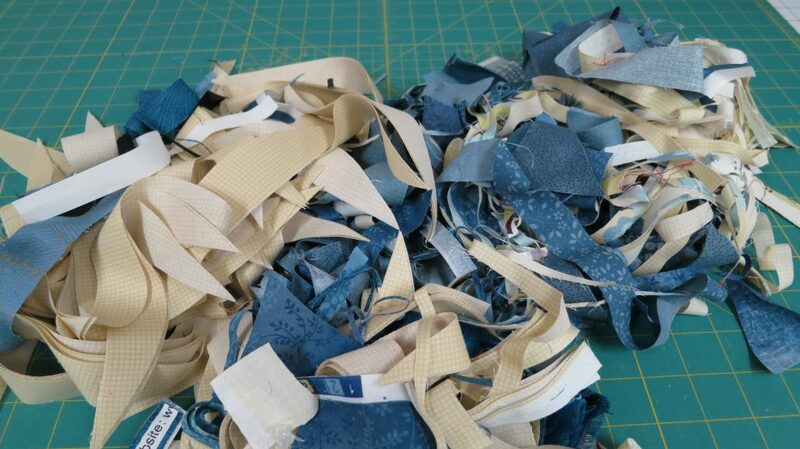 These are scraps that are no longer big enough to make even the smallest contribution to a quilt. They are finally used as stuffing, nesting material for local wildlife or placed on the compost pile.